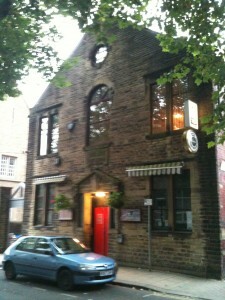 The Trades Club, Holme Street, Hebden Bridge. Our juniors also meet on Mondays between 6.00pm and 7.15pm. We charge an annual membership fee which runs from September 1st to August 31st. For non-members a weekly subscription is collected. If it is competitive chess you’re after then you’ve come to the right place! We currently have four teams participating in the Calderdale Chess League. The ‘A’, ‘B’ and ‘C’ teams plays in League Division 1 and the ‘D’ team plays in League Division 2. Our ‘A Team’ won the League 1 title in 2011-12 and 2012-13. They are also the current holders of the Team Lightning Chess title. As of August 2018, members of The Golden Lion chess team in Todmorden merged with Hebden Bridge Chess Club. The Golden Lion team will continue to play their matches at The Golden Lion pub and will operate as ‘Hebden Bridge A (Golden Lion)’ in the Calderdale Evening Chess League. By way of information, the 2014 Leeds Chess Congress will be held Friday-Sunday 11-13 July (one week before the start of the British Championships) at the same venue as in the last 2 years, ie Wellington Hill Residents Association clubhouse, 21-23 Ringwood Drive, Leeds, LS14 1AR. Full details about the congress will be published in January.